Apple enjoyed historic sales this holiday season, and while the company won’t reveal its official earnings until January 27th, based on the latest smartphone activation report from Consumer Intelligence Research Partners, Apple dominated the holiday shopping season and accounted for 50% of all smartphone activations in Q4 2014. Tim Cook is likely to announce another record breaking quarter as Apple nearly doubled the number of activations of its closest competitor Samsung, which accounted for a modest 26% of the market. 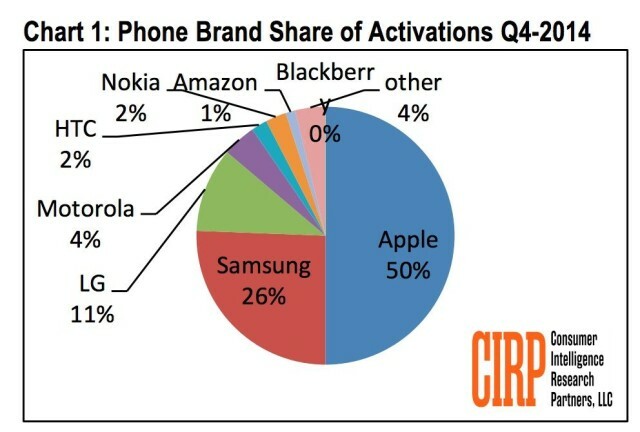 Apple’s activation share in the U.S. market increased from 28% in Q3 2014 to 50% in the last quarter thanks to strong demand for the iPhone 6 and 6 Plus. 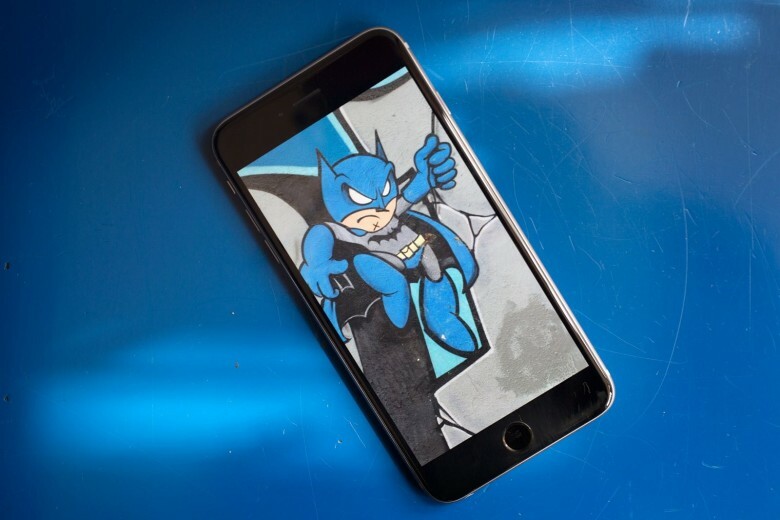 Tim Cook said the new large screen iPhone was likely to trigger an avalanche of Android users switching to iPhone, but CIRP’s data found that 86% of iPhone 6 buyers were upgrading from an old iPhone. Samsung lost 25% of its customers to Apple, while about 18% of LG owners switched to iPhone. Other than Apple, Samsung and LG, no other smartphone maker has more than a 5% share of U.S. smartphone sales. To help boost its marketshare, Samsung is expected to announce a new flagship Galaxy S6 at Mobile World Congress next month after sales of the Galaxy S5 disappointed.